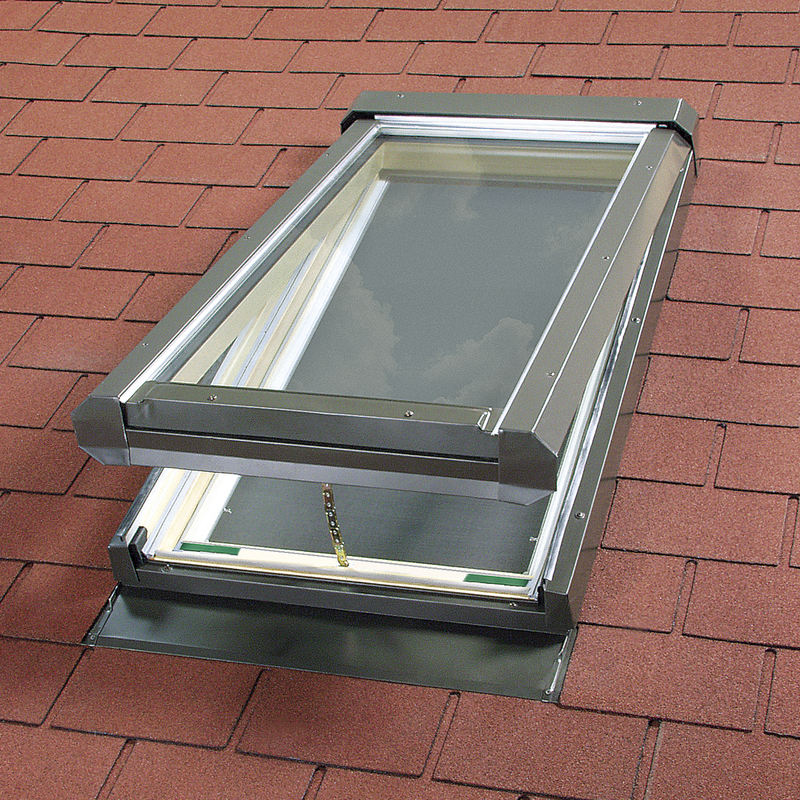 Deck mounted Fixed Glass Skylights (FX), Manual Venting Glass Skylights (FV) and Electric Venting Glass Skylights (FVE). 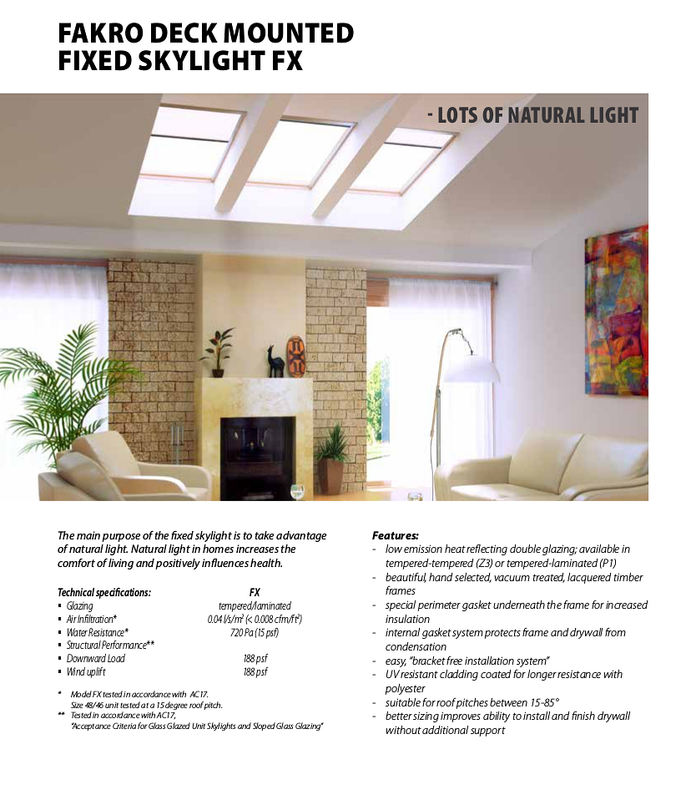 Long Lasting Performance: High quality raw materials, a modern production process, quality control at every stage of assembly, attention to detail, with a guarantee of safety, durability and quality. 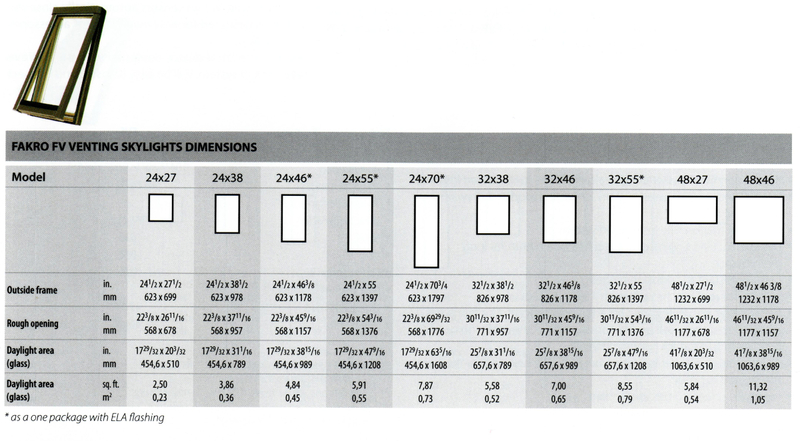 (Warranty and Certifications are listed towards bottom of this page). 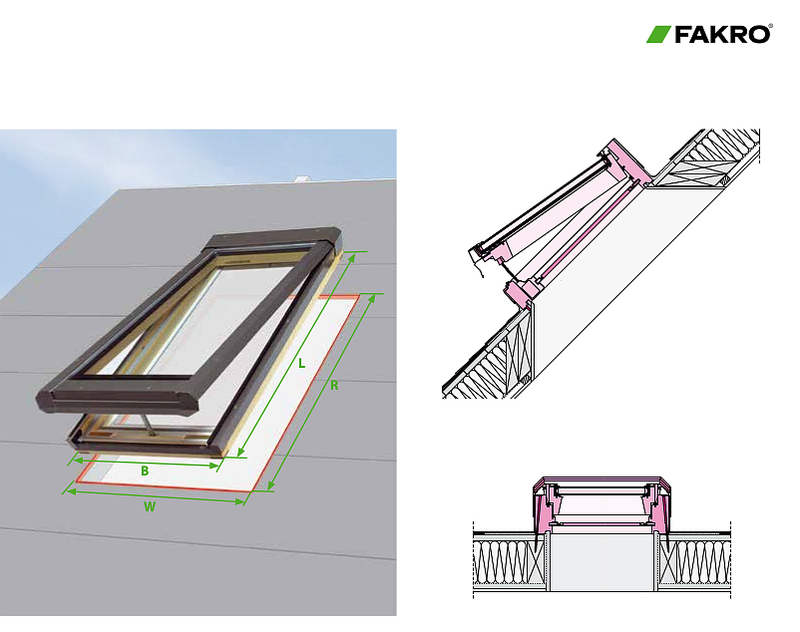 For Fakro Egress Windows, pls. 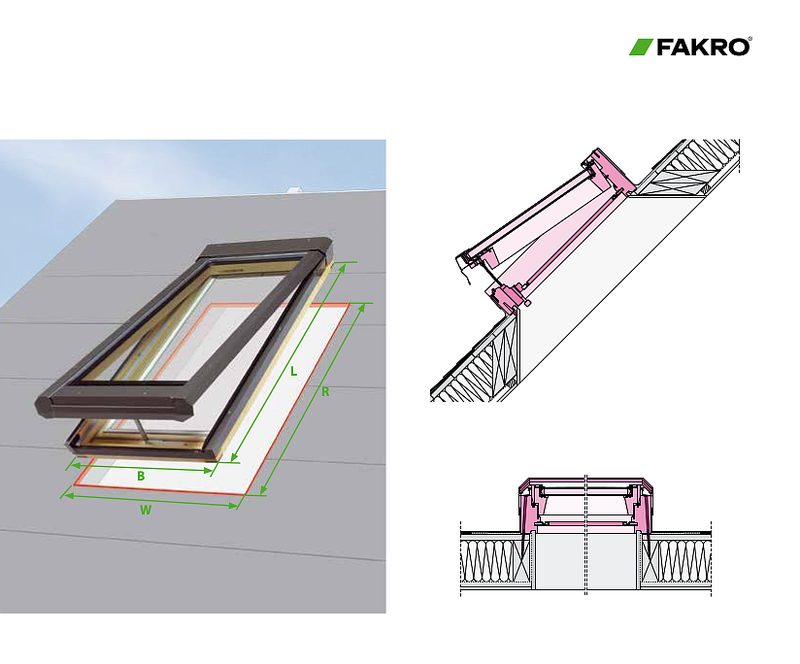 consult our Fakro Egress Windows page. 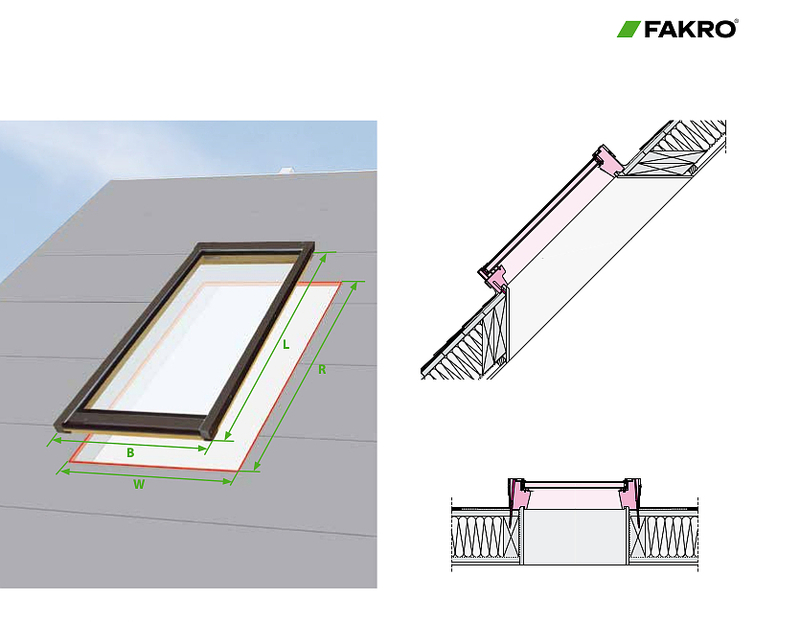 "Acceptance criteria for glass glazed unit skylights and sloped glass glazing"
-Fakro Glass Skylights are made of prime quality materials and components. 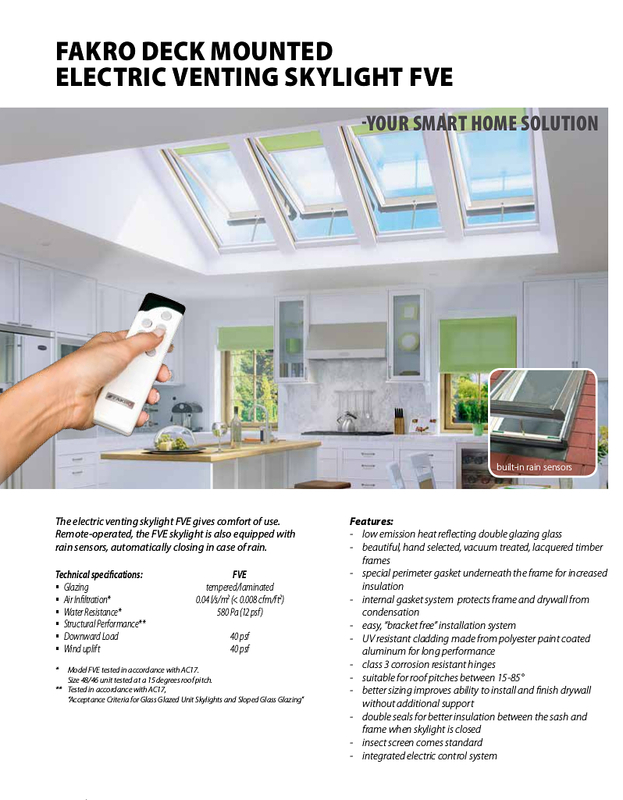 - They are manufactured with the use of the latest technologies and modern assembly lines. 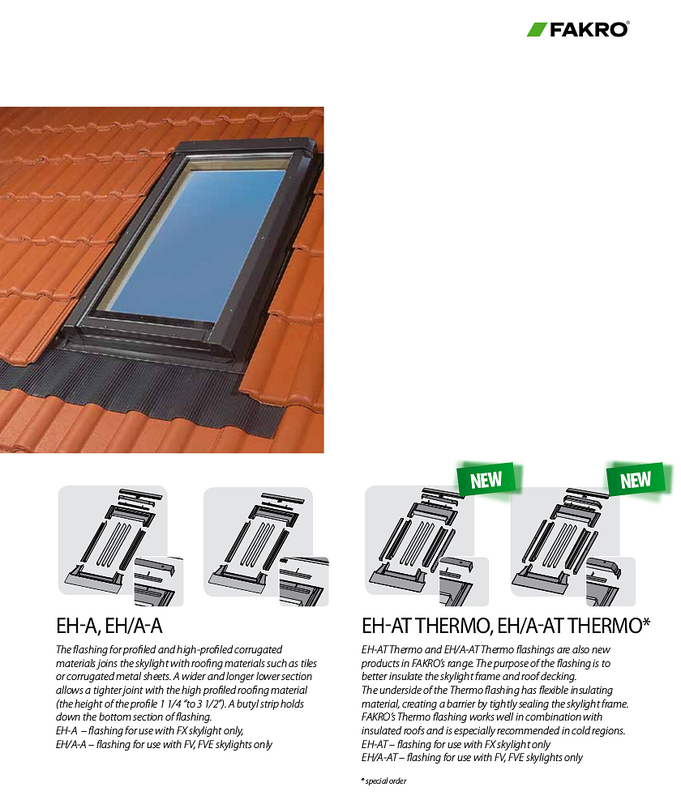 -Protection Against Effects Of Outside Condensation: Thanks to a very thick wooden frame-all metal hardware is eliminated. Metal causes condensation to form. 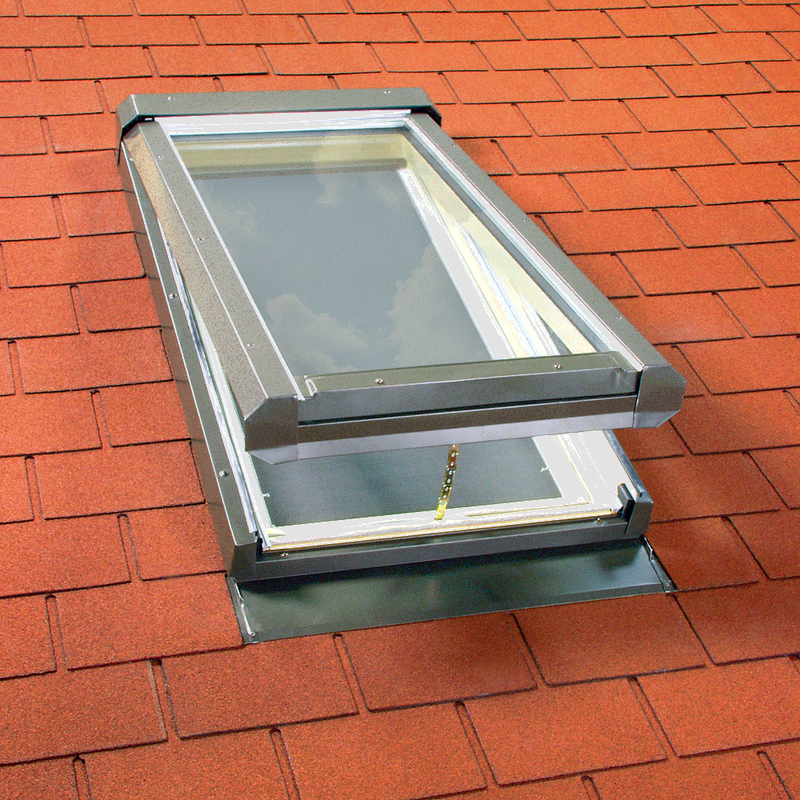 In addition, an ice-water shield is added during the installation process to protect the wooden frame. 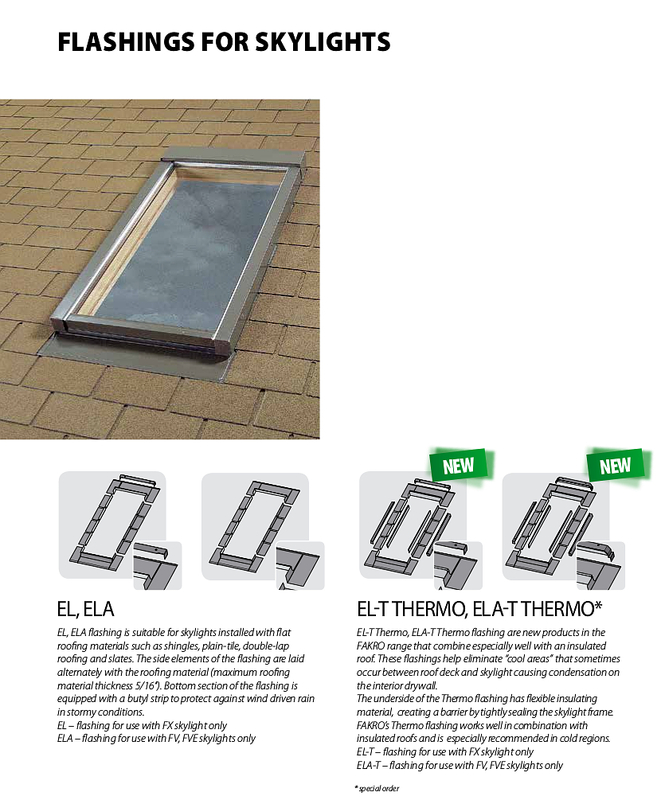 Thus condensation will only appear on the ice-water shield and not the outside frame surface. 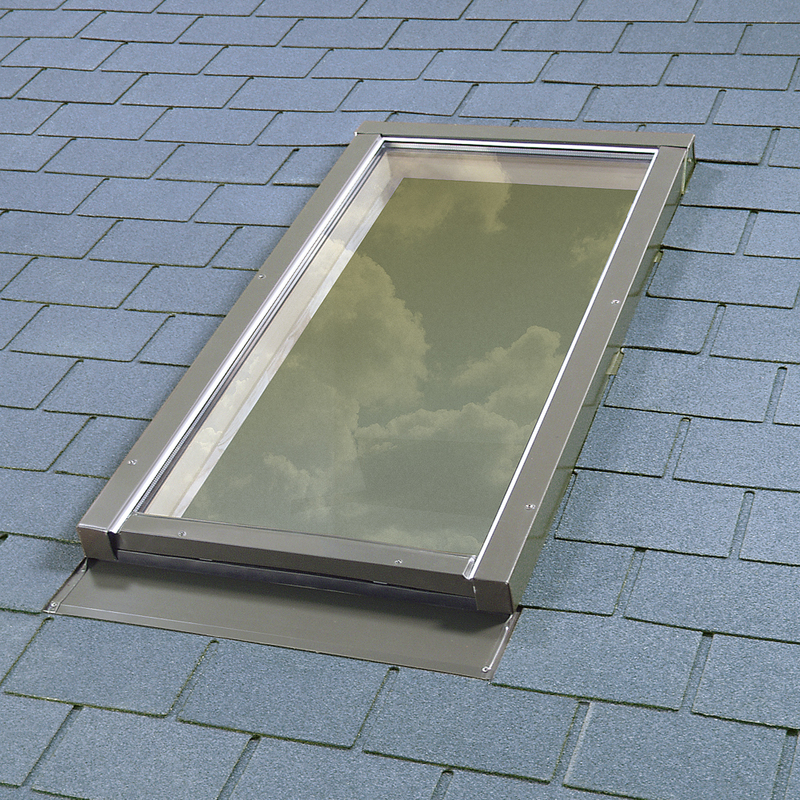 **Leak proof skylight: When installed according instructions, with the included flashing kit and ice-water shield membrane, FAKRO warrants a 10-YEAR LEAK-PROOF installation. *Pls. 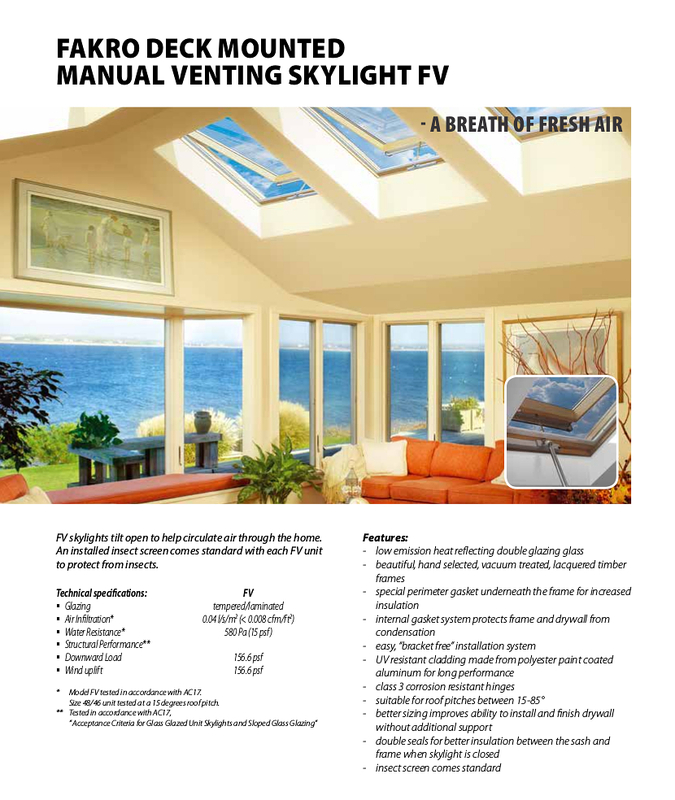 Contact us for list of available accessories. 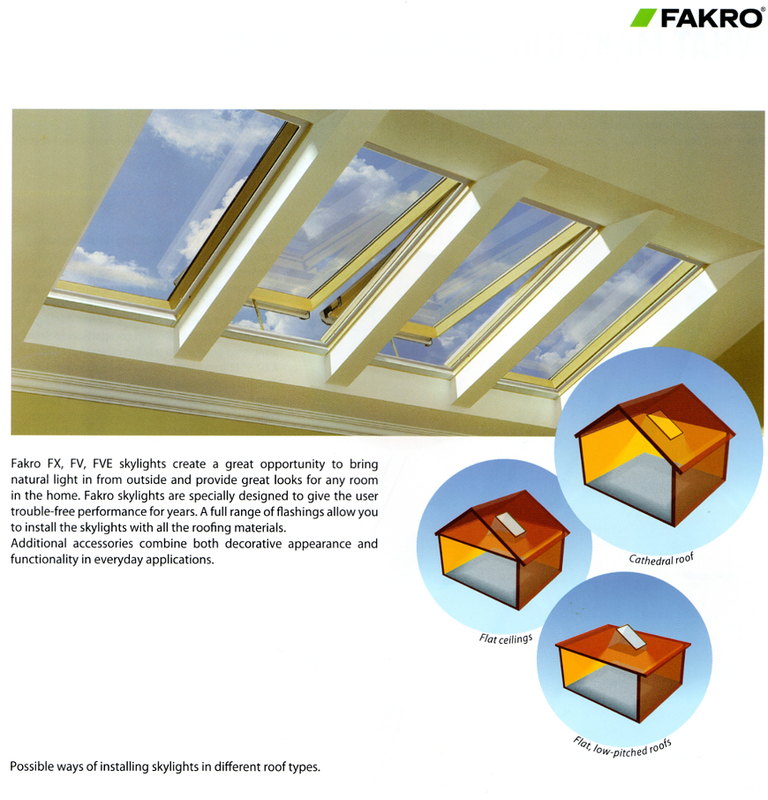 As a confirmation of the compliance with the above codes, FAKRO products has been awarded with the IAPMO UES # 0268.